Is there anything better than shopping with your spouse. HA said no one ever lol If dragging your S.O out boot shopping is not be your favorite way to spend a Saturday then please let me do the brunt of the work for you. Ironically we actually do like shopping together (thank goodness), but I get that not everyone does. I will say though it’s not all fun and games, anyone who knows me knows I struggle with finding shoes for my narrow feet, while the mister on the other hand can be pretty particular (love ya babe). He knows what he wants, and won’t settle for anything less (I have to admit to do kind of love this quality about him). Sooooooooo we basically live at the mall, I mean I am a style blogger after all, and he does graciously take an enormous amount of my photos. Needless to say we’ve basically run the gamut in the shoe department, and we’re happy to report we’ve recently found some success. YAY go us! *insert obnoxious marching band music*. 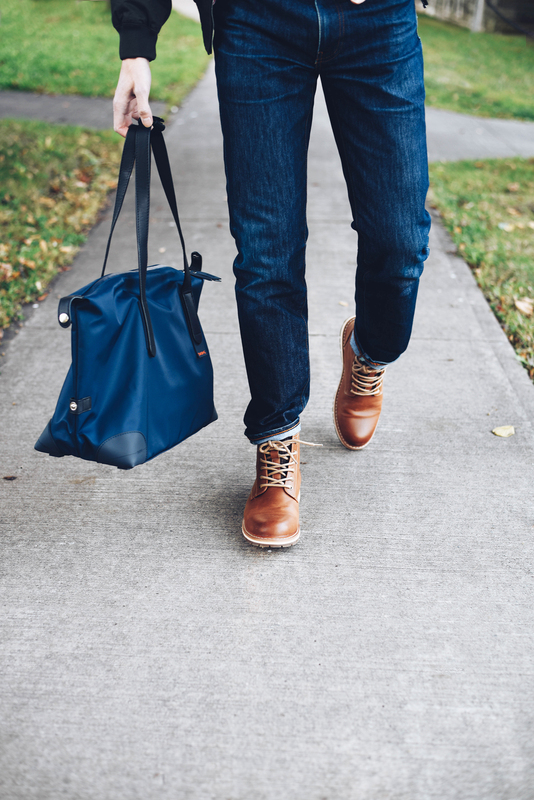 Whether you’re looking for a pair of boots for yourself, your sister, hubs, dad, brother, or WHOEVER Mark’s has a great selection of casual and dressy shoes, so whether you’re going hiking or to mall they’ve definitely got you covered. Let’s chat about men’s shoes for a second here. I’m just going to come out and say it. Y’all need to step up your game. You have the most comfortable shoes at your disposal, but most of you could use a new pair. Those running shoes from like 8 years ago GOTS TO GO honey. If you’re thinking maybe it’s time for something new, it’s probably time for something new. Cue these Denver Hayes Tennessee Boots, shall we? 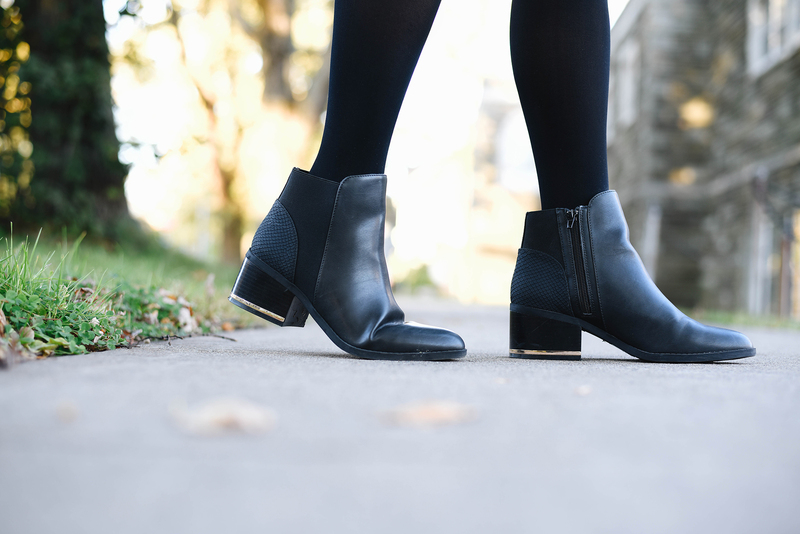 After stomping around in these at the mall, the park, and just out and about the verdict is: we think they are the perfect transitional boot. Whether you’re gearing up for snow (yikes I said the “s” word) or you’re slowly wrapping your head around the cooler temps: these boots are a great option. The flexible treads make for a smooth easy walking shoe, which can be a struggle with boots I get it. Sometimes boots feel more like you’re walking about wearing cement blocks than shoes leaving your feet sore, and your ankles tired. The Denver Hayes boots flex like a regular shoe, but have the added bonus of keeping your feet nice and toasty with the fleece lining (which feels especially nice against the ankles FYI). And I’m in lovveeeee with this cognac color. I mean don’t they just look soooooooooooo good with the blue denim? 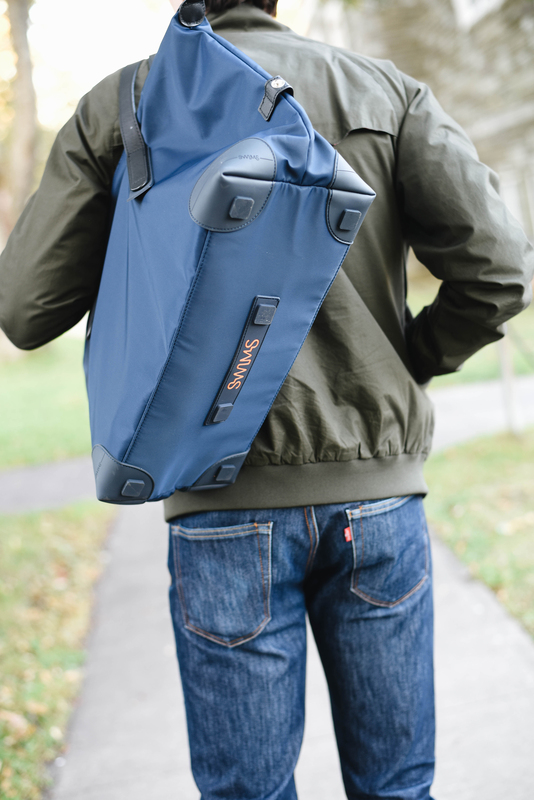 If you’re curious about the other pieces featured here see below, but before you check that out I feel compelled to tell about about this amazing waterproof bag from Swims. It’s SO versatile it can used for the gym bag, as a carry-on, AND you can even use it as a cooler bag since it’s COMPLETELY waterproof. 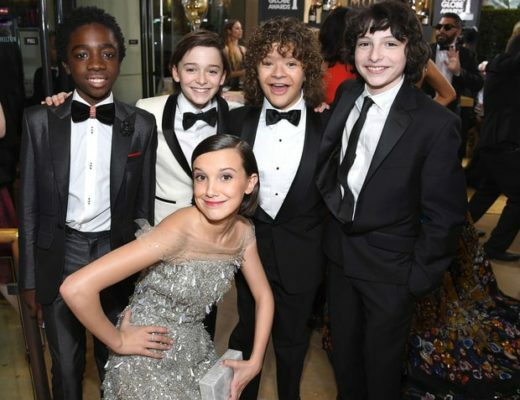 How cool it that??? Learn more and find additional sizes and styles here. FEATURED ITEMS: Boots, c/o Marks (shop online here). Jacket, Ben Sherman. 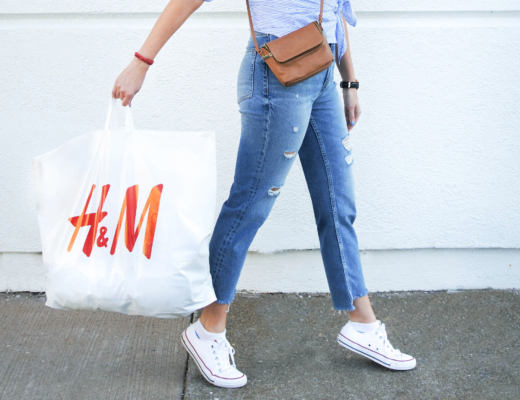 Jeans, Levis. 24 Hour Holdall Bag, c/o Swims (ps it’s waterproof). Sweater, Banana Republic. And without further adieu let’s chat about these Alfred Sung” Megan” boots from Marks. OMG you guys. If you follow me on Instagram (@shortpresents) you know that I’m over the MOON for these boots. I LOVE wearing boots with a heel, (I mean who doesn’t love an elongated leg) but usually my mangled dancer feet get too sore so I have to sub in something completely flat which isn’t always the look I’m going for. I love these Alfred Sung Boots boots so much that I’m actually seriously considering purchasing a back up pair because I am THAT obsessed. From the cute little texture details around the back of the heel to the little gold lining around the bottom you’d never know that inside these boots are built in cushions (BUILT IN CUSHIONS PEOPLE) for the ball of your feet. I MEAN, why didn’t anyone think of this sooner? They are so comfortable that I’ve worn them to wall allllllll the way down town, I wore them alllllll the way through an event (standing for 2 + hours), and then alllllll the way home. And I live in the north end. It’s a solid jaunt, and I’m a wimp. We’ve both been wearing these boots any chance we can get, and we la-la-love them (of course those are my words not his) lol while I might have bedazzled the language a little we do love them. 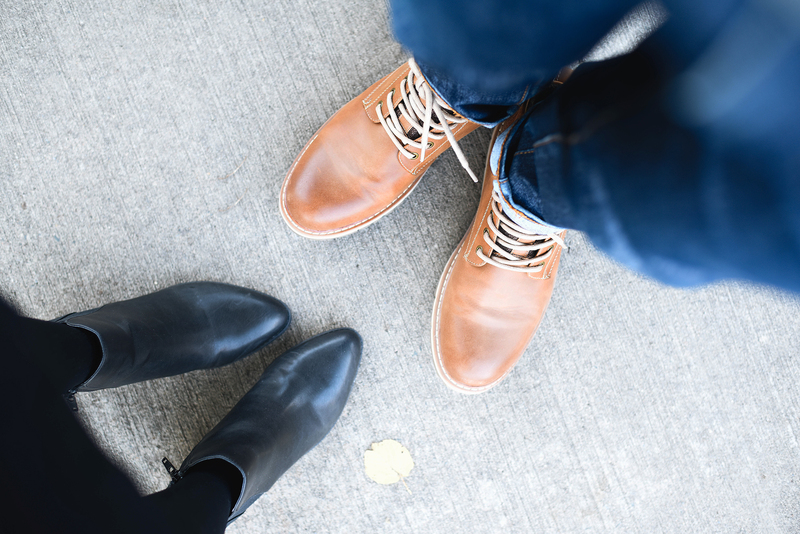 If you’re looking for either boots for you and your hubs (dad, brother, son etc) Marks is really a one stop shop for practical and stylish footwear. And because I wanted to focus more on menswear for this post, I’ll share my outfit in an upcoming post 🙂 To shop Mark’s Boots online click here. Would you like to see more his & hers posts? I get a lot of questions from you guys about what to buy your husbands or where to shop for your sons, so let me know if these posts are helpful, and if you’d like to see more of them. *this post was sponsored by Marks, however, all opinions expressed are our own. I hate shopping for men-it is so hard! Yes please to more his and hers or gifts for men. Maybe some tech, video games, events suggestions too-I know you have a good resource at home you can ask! Oh yay I’m SO glad!! :):) Stay tuned for more.